use environment. The back frame is extended to allow spotters easy access. Integrated weight storage keeps the plates right where you need them. The SMR1000 has integrated pegs for strength bands for extreme plyometric training. 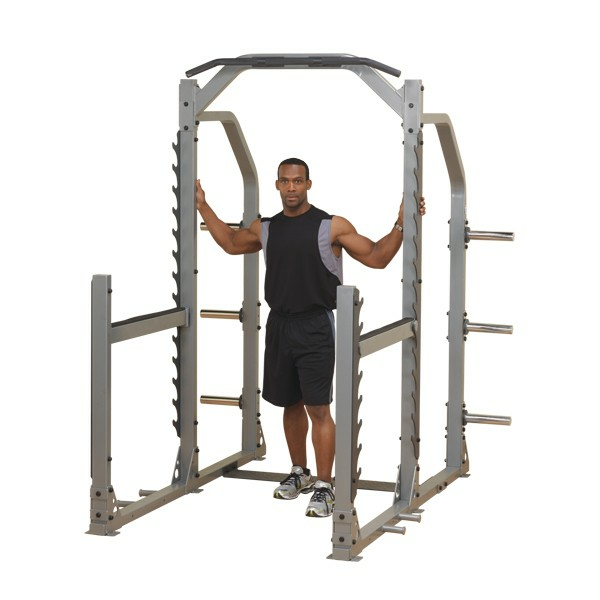 The integrated chinning bar allows users to incorporate pull ups, chin ups, inversion, ab slings and other body weight resistance systems for amazing versatility. The SMR1000 is an uncompromised monster free weight system. The SMR1000 muti-rack system is perfect for heavy use, heavy load environments, like schools, military, police and fire departments.